We are a local double glazing installer in Margate, installing throughout the whole of Kent and we offer high performance windows, doors and conservatories to our customers. 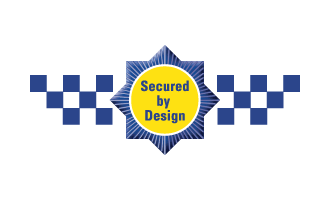 Our range is incredibly high in quality, and we only choose the very best products to keep your property safe and secure. We offer the very best double glazing Margate have to offer, and our products are fully customisable to your home. Whether you're looking for uPVC windows, doors or a new conservatory, we have the perfect range for you. Our uPVC windows are of impeccable quality, and will last your Kent home many years to come. For secure, eco-friendly double glazed windows, choose Omega. For seamless double glazing in Margate, Kent, look no further than our StyleLine windows and doors. Designed using a revolutionary welding process, our StyleLine range offers a truly impeccable finish. Get competitive double glazing prices for windows, doors and conservatories in Margate, Kent. Alternatively, you can book an appointment with us online! At Omega, based in Margate, Kent, we strive for superior quality and service - you can rely on us to do our utmost when it comes to your home improvements and ensuring the highest standards are met. Right from your very first contact, we will make you our priority. Our customer services team are here to help you every step of the way, enabling you to make the perfect choices for your home in Kent. You can contact our professional and helpful team for more information on any of our products and services, as well as a free, no obligation quote. We also provide an online quote calculator which is a simple tool that will provide you with a tailored quote for your windows and doors within a matter of minutes. We supply and install double glazing in Margate and Kent, including in Canterbury, Herne Bay, Broadstairs, Westgate-on-Sea, Whitstable, Ramsgate, Chestfield, Faversham, Ashford, Kennington, Hythe, Folkestone, Dover, Deal, Birchington-on-Sea, Margate, Ramsgate, Sandwich, Faversham, Whitstable, Sittingbourne, Queenborough, Sturry, Blean, Harbledown, Chartham, Eastry, Whitfield, Hawkinge, Lyminge and Kingsnorth. Contact us for more information or start your quote today. We offer a design service to ensure that your double glazing products are the perfect fit for both you and your home, we then make sure that every element is manufactured to the exact specifications required so that when we come to install them, the fit is just right. Do we offer competitive prices? Although our entire range of double glazing products are manufactured and installed to meet the very highest standards, we still offer exceptional value for money and provide a cost-effective solution to meet your home improvements needs. Start your online quote for competitive double glazing prices in Margate and Kent. I am writing to you as promised to tell you how pleased we are with our replacement windows and door. When we decided to replace our stained glass, leaded windows and kitchen door we knew that it would be a complicated task as we wanted to reproduce the originals as closely as possible. After getting quotes from a number of companies, we decided to rely on Omega as we believed you could provide a quality product at a fair price – and we haven’t been disappointed! From the outset, yourself and your staff’s professionalism was apparent. You went out of your way understand and accommodate our requirements, despite them changing often! You ensured that the quality of windows, specifically the bespoke nature of them, was of an acceptable standard to us. During installation, the fitters did everything they could to install the new windows and door to the highest standard, with minimal disruption and we are more than happy with the result. We would have no hesitation in recommending Omega to anyone who requires a top quality product and professional installation at a fair price. Our thanks to everyone at Omega, your efforts are greatly appreciated. We would like to especially mention Tom, who’s coordination and patience behind the scenes meant that we got exactly the result we wanted. I just wanted to drop you a line to thank you for organising the work that helped my daughter-in-law’s grandmother last weekend. Jill was moving from her home of many years to a new flat in a sheltered accommodation complex in St. Peter’s. She was very concerned about having her treasured possessions with her and when we went to move her out of her home we soon realised that it would be impossible to get her 3-piece suite out (a new door had been installed a few years later). Drawing on my own experiences of business by referral through BNI, I contacted Rickmansworth who passed me on to Tim at the Canterbury office. Tim had no hesitation in recommending you and assured me of a great service. Of course, as you know, we were under time pressure and obviously Jill had some concerns about money, but we knew the only solution was to remove a window section in the old house and the entire window in the new place, thus allowing the suite and two large wardrobes to be inserted through the space made available. Kelvin, your engineer, was very professional, pleasant and very helpful. He completed both parts of the task quickly and without fuss, and Jill was so delighted when he even polished the windows when he finished! Kelvin even added some additional filler to remove a slight movement that had occurred from the original installation. The finished window was therefore in better condition than when he had started. Fantastic job Julien, and great value for money. Thank you for all your help! To my unqualified eye the work appears to have been carried out very efficiently and capably. When the installation faces the test of adverse weather conditions (which it has so far been spared), I am confident it will not be found wanting. I am very satisfied. I was particularly impressed by the helpful, courteous and competent manner in which your fitters carried out the work, and should be grateful if you would kindly convey to them my thanks and commendation. If I require further work of an appropriate nature to be carried out on my property, and it is quite probable that I shall, I will again contact your company. 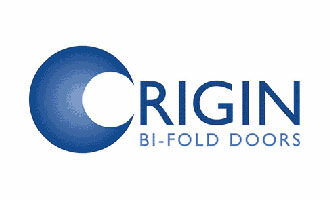 I just wanted to take the time to write to you following the installation of our new windows and patio doors by Omega. From the initial planning meeting and discussions to the completion of the installation I cannot praise Omega highly enough. In comparison to other quotes we obtained, Omega's pricing was far and away the most competitive. I am extremely pleased with all the windows and doors which were installed to a very high standard. The installation team were very professional at all times, showing great pride in their work. Indeed they went over and above what was expected, providing a bespoke finish that was not on the original plans, overcoming a structural issue with our property that vastly improved the previous external look. I would have no hesitation in recommending Omega to friends and family safe in the knowledge that Julien and his team would provide a first class service and true value for money. First of all thanks for completing the few snags remaining from all the excellent work you carried out for us at our new home. I think the entire project was expertly and thoroughly executed. The house presented a number of difficult issues all of which were overcome. The final result is quite simply outstanding. It has been completed with a window and door product of the highest quality. We are very grateful to Omega and would not hesitate to recommend your company to others. Thank you for estimating the further work we aspire to have done on the house. Given all else still going on we have decided to postpone any further additions until we can take stock of our budget. Possibly early next year. Julien and his team at Omega did a great job in replacing some windows for us recently. He arranged for a fitter to do the detailed measuring up, set up a convenient date for the work to be carried out, advised us when difficulties arose and responded swiftly to address them. The project was well-managed from beginning to end and the overall quality of service was great, as was the value for money! Thanks Julien and the team! I am prompted to write to you with a testimonial in respect of the recent partition installation you did for me, in my office, by a comment received from a client. This client arrived for his meeting and, looking closely at the partition installation, commented on what an excellent job it was. He went on to say that his business had recently started installing such partitions. There can surely be no greater compliment than to be praised for your work by someone in direct competition to you. This partition has helped transform my office into a much more flexible and practical working space providing me with an area in which confidential meetings can take palce. The attention to detail and workmanship were second to none. Thank you again for your excellent services and I would be pleased to recommend you to others. Just a note to say that we are very pleased with the recent installation and to thank you for the orchid sent to us at the weekend. I have taken a few photographs but I am not sure if they are worth using as it’s difficult to see the details and get the whole house in; however, these are attached if you wish to use them. Please note that the initial contact we made (via yellow pages) was speculative and did we not know what to expect but the excellent way James introduced Omega and the product put us at ease. This was followed by full surveys by Lawrence which gave us every confidence. All the fitting was completed on time and every appointment kept despite dreadful weather conditions and all matters relating to the installation were quickly resolved by Jamie and Phil. Regards and thanks again. We just wanted to say how pleased we have been with our French doors and kitchen window you did for us. We were very impressed by your installation team and commend them on their clearing up of the site when they had finished! Everyone comments how nice the doors are and we have given your name and number to a few people. We'll certainly use you again for any further work we require. I am writing to let you know that I am very pleased with the work carried out. All work was carried out to a high standard and on time. As the job progressed nothing was too much trouble. I have found your product to be of high quality and the level of workmanship to the highest standards of professionalism and I would not hesitate in recommending your company. We were absolutely delighted with all of the work - from initial contact, to the representative (very professional), to the surveyor (very thorough), through to fitting (very high standard). Thank you! Thank you so very much for your kind speedy service today when our window had to be replaced due to a burglary. A special thank you to Andy who was so kind and helpful.